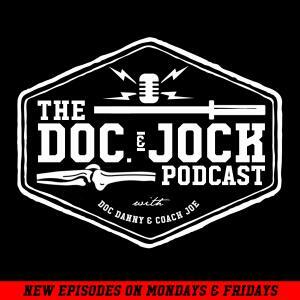 Episode 245 of the Doc & Jock Podcast is a special one, it's our first ever CLIP SHOW! That's right we have gone back to the vault and dug up 12 of our favorite moments from the 2017 Doc & Jock line-up and pieced them together like a jigsaw puzzle. If you are interested in listening to one of the episodes in its entirety scroll down and click on a link.